Laid out over three floors, Piano al Latte, Piano Gianduia and Piano Fondente, the Etruscan Chocohotel in Perugia has get 94 comfortable rooms, each equipped with TV, minibar, telephone, hairdryer and air conditioning. 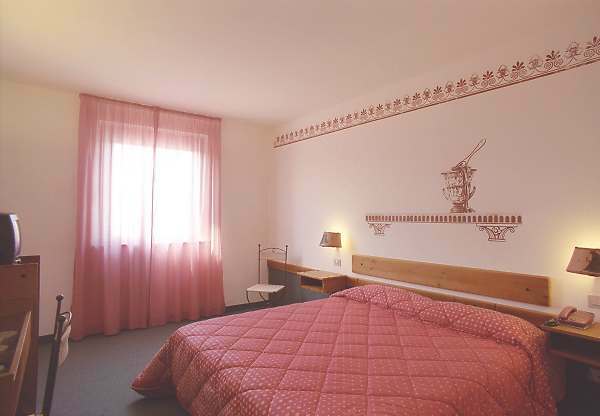 All rooms are painted with Etruscan style frescoes and each has its own amusing ‘choco-desk’. 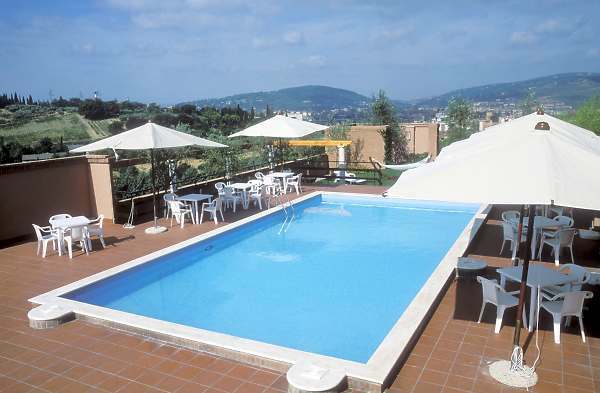 The top floor of the Etruscan Chocohotel commands fine views from its panoramic terrace, where there is also a swimming pool for guests to relax or just take the sun. 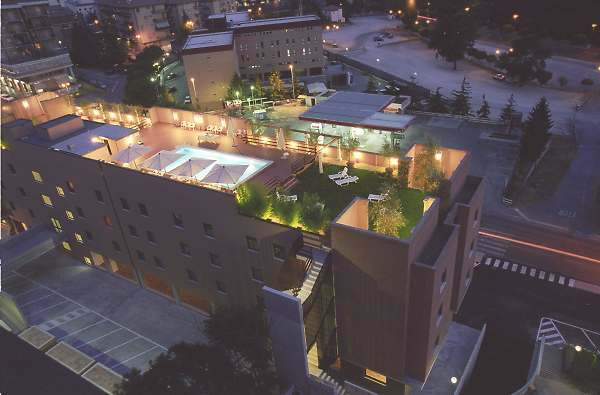 Subject to prior booking, the terrace of the Etruscan Chocohotel can function as the ideal venue for welcome cocktails, drinks, buffets, afternoon or evening meetings and open air dining. 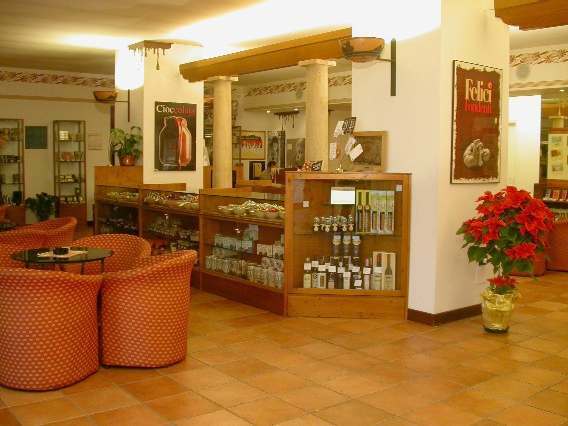 The ground floor of the hotel features a richly-stocked chocostore selling hand made and industrially-produced chocolates from all over the world (Domori, De Bondt, Mannori, de Castro, Amedei, Rovira, Cuba, Gobino, Antica Dolciaria, Dolphin ,Valrhona, Catinari, Weiss, Maide, etc etc etc...) as well as gadgets, books, posters, tasting cups and more. Guests can indulge themselves here on temptations such as the Kramsky chocolate wrappers, Eric Rovira’s imaginative chocolate eggs, chocolate objets made by Maide, taste unusual varieties of hot chocolate or try the freshly-made pralines. 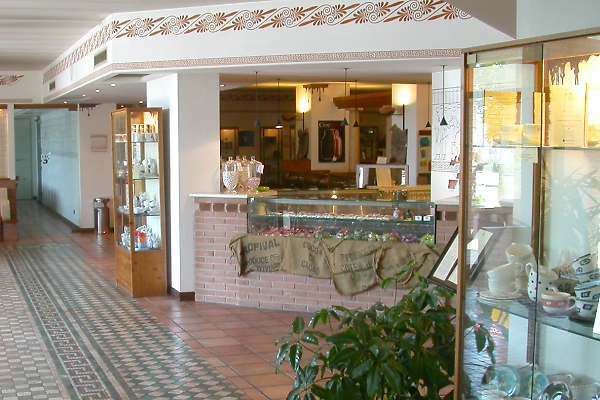 The elegant restaurant of the Etruscan Chocohotel serves a variety of Umbrian traditional dishes as well as international cuisine and, for real chocoholics, a menu from starters to dessert made entirely with chocolate as the main ingredient. The restaurant is also able to cater for working lunches, banquets and tailored menus to best suit your needs. 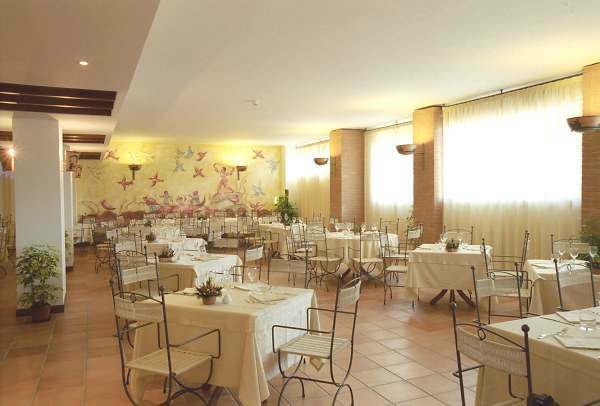 The restaurant’s two rooms, the Sala della Caccia e della Pesca and the Sala del Cippo Etrusco can easily seat up to 250 people and are ideal for official lunches and banquets, as well as private dining. 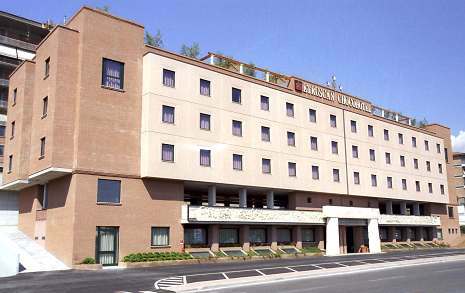 The Etruscan Chocohotel also has a garage for parking up to 30 cars, as well as the use of up to 50 parking spaces in the adjacent private parking lot, making it particularly easy to find parking in the event of meetings, working lunches or conferences at the hotel. All main credit cards accepted. On request Half Board or Full Board service, Garage (fee required), Cradle (fee required). 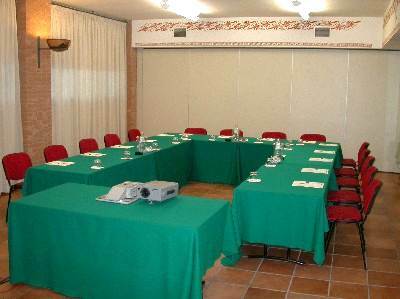 The Etruscan Chocohotel has a total of 5 meeting rooms (Sala Gianduia, Sala Latte, Sala Fondente 1, Sala Fondente 2 and the Sala Etruscan. The rooms are all pleasantly furnished and equipped with all the latest facilities to cater for meetings and conferences. 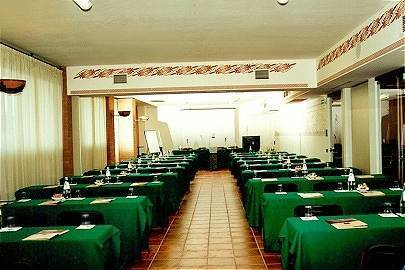 The total capacity of the meeting rooms amounts to 300 places, with 160 in the Sala Plenaria alone. 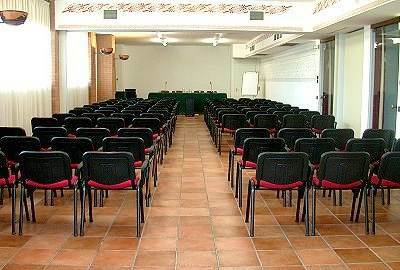 The meeting rooms are all arranged on ground level, around a convenient common bar area. Handmade chocolate pastries are available as an amusing break during meetings.